Need Support? You can talk to us. Help Line is available every hour of every day. People can call anytime to speak with a volunteer for general support, information, or questions. Sometimes people call to talk about something that happened years in the past. Community Works is here for everyone. We are here; you are not alone. Call anytime at 541-779-4357(HelpLine). Community Works’ advocates are available at the Jackson County court to help with getting protect orders by providing information and support. They are located on the 3rd floor of the Justice Building at 100 S. Oakdale in Medford. Advocates are also available at Medford Police, Central Point Police, and Jackson County Sheriff Departments to support people who have experienced domestic or sexual violence. Community Works’ advocates are available anytime, day or night, to accompany survivors of sexual assault to the hospital or police station. Advocates can provide emotional support, as well as information about medical care and the legal process. We are here; you are not alone. Call anytime at 541-779-4357 (HelpLine). Community Works’ advocates help those who have experienced domestic or sexual violence access emergency funds for basic needs. Domestic violence harms children. Witnessing domestic violence traumatizes children and can teach them that violence is a normal way of life. Many abusers are also abusive to the children in the home. Help and support is available to children in our community. Support groups are available to children who have witnessed domestic violence. Please call Help Line for more information and to connect a child to support. – What is best information here? 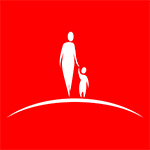 Advocates support people who have child welfare involvement due to domestic violence. If you have an open child welfare case and have experienced domestic violence, contact Community Works at 541.779.4357 to talk with an advocate. A Community Works’ advocate is also located at the Children’s Advocacy Center to support children and families who have experienced abuse. 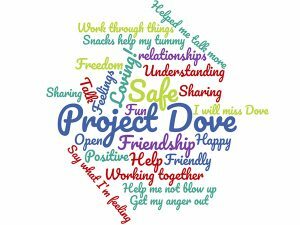 Project Dove, in partnership with Medford School District, supports children who have witnessed domestic violence. Students meet weekly at school for support and education. Contact 541.779.4357 for more information. It can be helpful to talk with others who understand what you are going through. Community Works’ advocates facilitate support groups in the Trauma Recovery Empowerment Model (TREM), which focuses on empowering individuals, educating, and developing coping skills. TREM groups can be helpful to people who have experienced a variety of traumatic experiences in their lifetime, including Domestic Violence, Sexual Assault, and Addiction. Community Works’ advocates facilitate support groups for both adults and children each week. These support groups are offered in both English and Spanish. Please call HelpLine at (541)779-4357 for additional information and the current support group schedule. All support groups are free of charge.